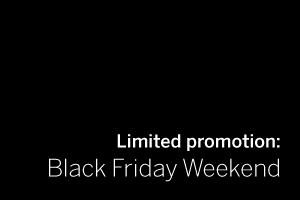 25% off MailStore Server – Black Friday Weekend Special! Yes, for the next few days we’re unashamedly jumping on the bandwagon of our American friends and slashing the cost of new licences by 25% for the brilliantly simple email archiving software, MailStore Server. Discounts are automatically applied as you add items to your shopping basket. Eligible orders must be completed and paid for before Tuesday 3rd December. We’re on-hand if you’ve got any questions, happy shopping!